First Play ® Original Bean Bag 48 Tub - a robust, heavy duty tub containing 48 heavy duty bean bags with a double stitched nylon outer for extra strength. Each bean bag weighs 110g and is 15cm x 10cm. A robust tub with lid and handle for storage. 12 x Red bean bags. 12 x Blue bean bags. 12 x Green bean bags. 12 x Yellow bean bags. 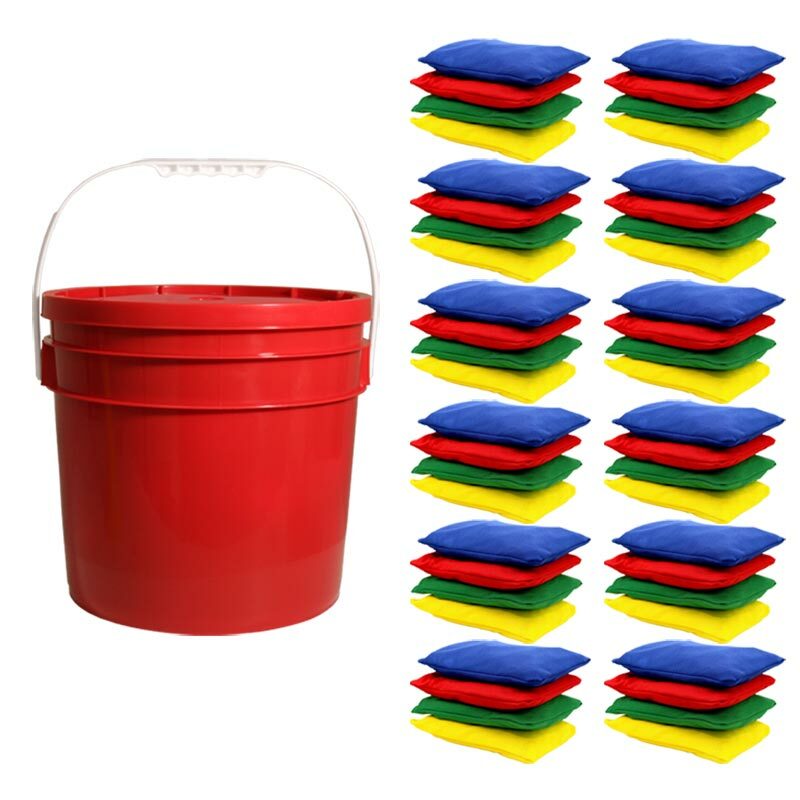 Good quality bean bags in very sturdy bucket. Very pleased with them.